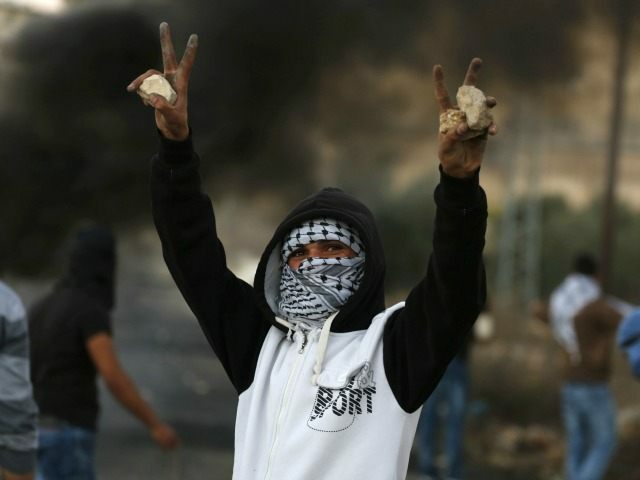 The Times of Israel reports: Israeli security forces faced off against Palestinian rioters Friday in multiple locations throughout the West Bank and along the Gaza border, as hundreds took part in the violent demonstrations. Demonstrators burned tires and hurled rocks at Israeli security forces, who were responding with non-lethal means. On the Gaza border Palestinians claimed live fire was used in some instances as rioters approached the border fence. An Israeli soldier and a Border Policeman were lightly wounded by rock throwers during a riot near the West Bank village of Aboud, north of Ramallah. The Palestinian Red Crescent reported that between 30 and 40 people had been injured throughout the territories, mostly by tear gas and rubber bullets. In Gaza one man was said to be in serious condition and two others reportedly suffered moderate injuries.